Home » Lifestyle » Campaigns » Calling all Conductors: Thomas is Back in a Big Way! Calling all Conductors: Thomas is Back in a Big Way! To say we have a lot of Thomas the Train sets would be an understatement. Our Thomas the Train game is so strong that I recently put in custom toy benches in our playroom and included one wall entirely for Thomas tracks. And because of that, I can say that our kids were totally into testing out 2 brand new Thomas toys you should be aware of while you are finishing up your holiday shopping. 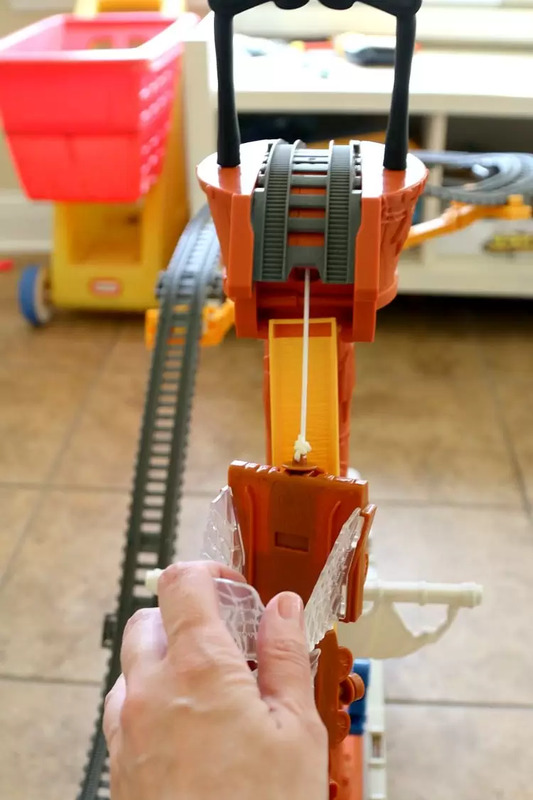 Below you will find a basic review of the new Fisher-Price Thomas & Friends™ TrackMaster™ Shipwreck Rails Set as well as the Thomas & Friends DVD, Sodor’s Legend of the Lost Treasure – The Movie. If you are short on time, the smaller version is yes, pick them both up this season for your Thomas fan. 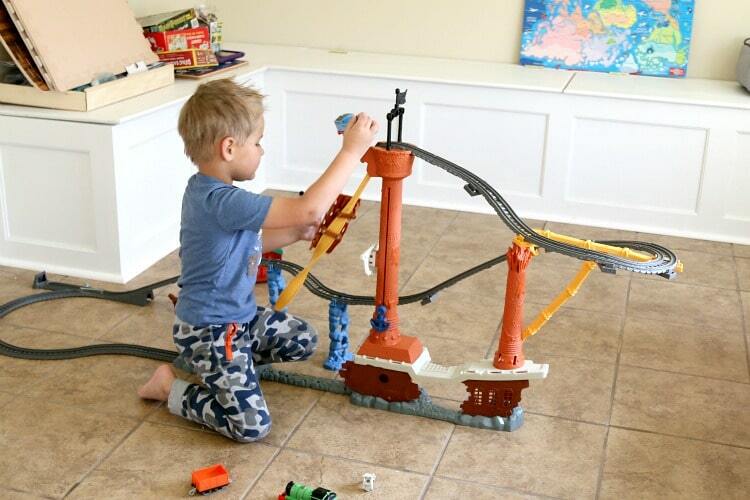 You will love: The Thomas & Friends™ TrackMaster™ Shipwreck Rails Set is a beast! Its connectable to other sets, expandable and motorized. It’s also brand new, so it makes it likely the Thomas set you may be looking for for your ever expanding collection. Normally I make my husband put together all the toys. Not because I can’t, but because they can be time-consuming and I don’t like doing it. I want to show up and play. In this case, he was out of town and so I settled in to do it myself. Surprisingly, it was easy. It took about 20 minutes, mainly because I misplaced my track and had to disassemble once. 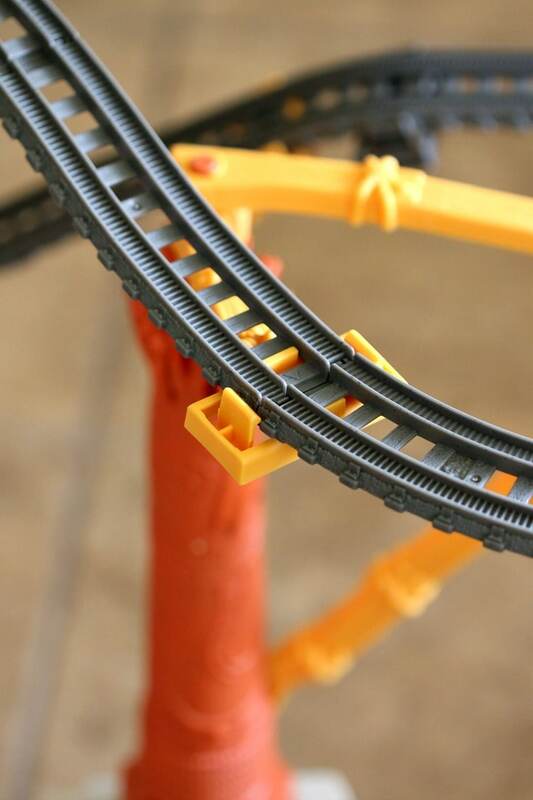 Make sure you properly position your yellow twist track in order for your train to make it from the top to the bottom and off again. 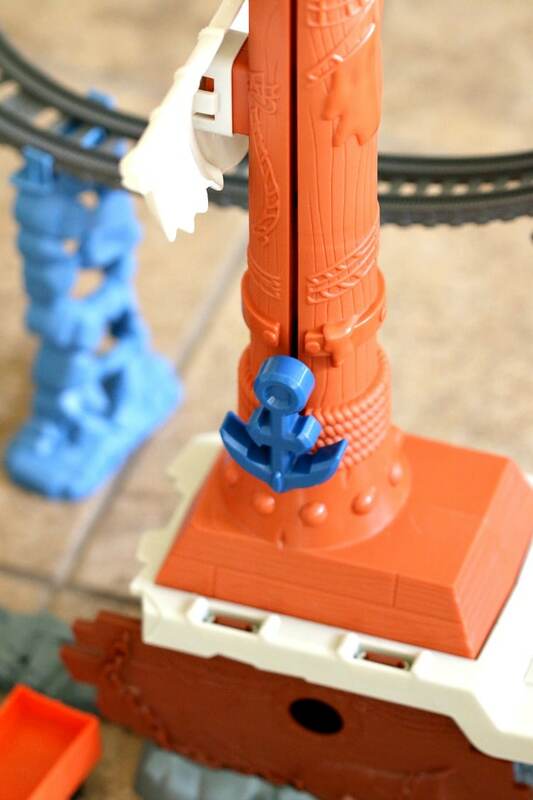 Thomas & Friends™ TrackMaster™ Shipwreck Rails Set fans will love: What isn’t there to love? This set is HUGE, making play time a lot of fun watching Thomas and other characters go around. Plus, pirates! Phoenyx said: He is 4 and kinda a quiet guy, but by judging his nonstop play time with this set and his inability to let me take it apart to put it away, he is enjoying it. Thomas & Friends™ Toy Train Set with Pirate Ship and Motorized TrainGet ready for thrilling, jaw-dropping play as Thomas navigates the perilous Shipwreck Rails! Inspired by the Thomas & Friends™ DVD, Sodor’s Legend of the Lost Treasure, the TrackMaster™ Shipwreck Rails Set from Fisher-Price captures all the adventure of the movie. After climbing the long, steep incline to the top of the ship’s mast, Thomas plunges towards the deck and completely turns upside-down as he speeds along the spiral track! When he reaches the bottom, he’ll discover the lost treasure! 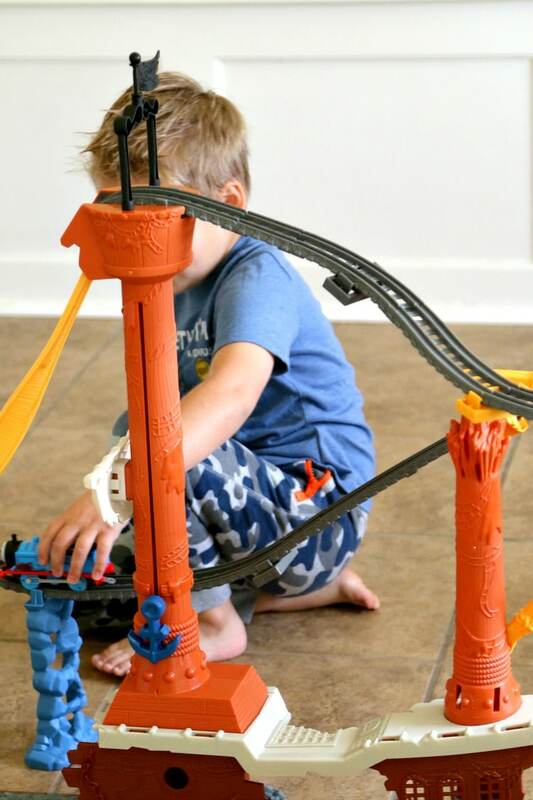 Featuring incredible, upside-down spiraling action, cool molded ship detail, and an auto-reset function that allows continuous play, the TrackMaster™ Shipwreck Rails Set delivers an action-packed playtime experience that’s sure to amaze any Thomas fan. Children ages 3Y+. Requires 2 AAA batteries. Shiver me timbers! Surprises await Thomas and his friends as they dig up their most daring adventure yet. Unearthing an old pirate ship, Thomas is on the hunt for Sodor’s lost treasure. When Thomas rocks the boat with some new friends, trouble soon rushes in. Will Thomas track down the treasure in time or will Sailor John set sail with it? Join “Thomas And Friends(TM)” in this explosive movie adventure. The voice cast includes a host of big stars including Eddie Redmayne, Sir John Hurt, and Olivia Colman. 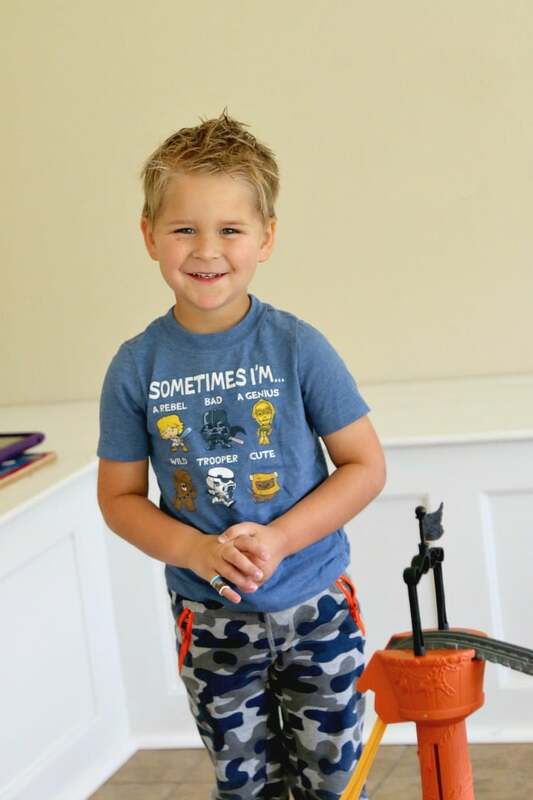 You will love: The Thomas the train movies are full of adventure that is easy to recreate with their Thomas toys! This movie is a full animation movie lasting over an hour and perfect for some “down time” fun. Also at $12.96 at Walmart ($19.99 in other places) this is one movie you will also save same cash on. Perfect as a stocking stuffer, this movie held my son’s attention the entire time, save for a potty break, and right back to it. 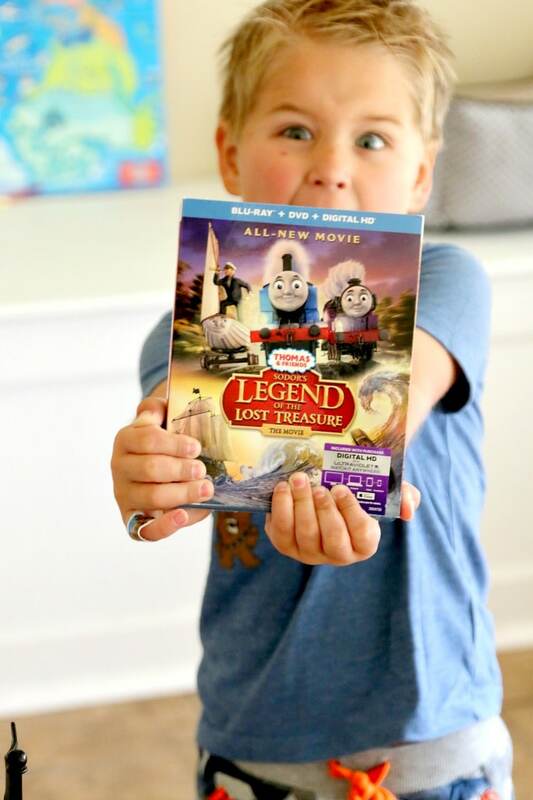 Thomas & Friends DVD, Sodor’s Legend of the Lost Treasure fans will love: The consistency of Thomas movies that will instantly feel familiar with characters they love, plus recreating the tracks and themes. Phoenyx said : I asked him if he liked the movie and he said YES! So there you have it from a 4 year old…yes. As a parent I must say that Thomas has been one set of toys that has easily grown with my son. From the time he was smaller to now, I believe its the only thing we have yet to phase out as the years go by. Entertaining my 11 year old (daughter) and my 4 year old son at the same time can be impossible, but not with these train sets that interlock. 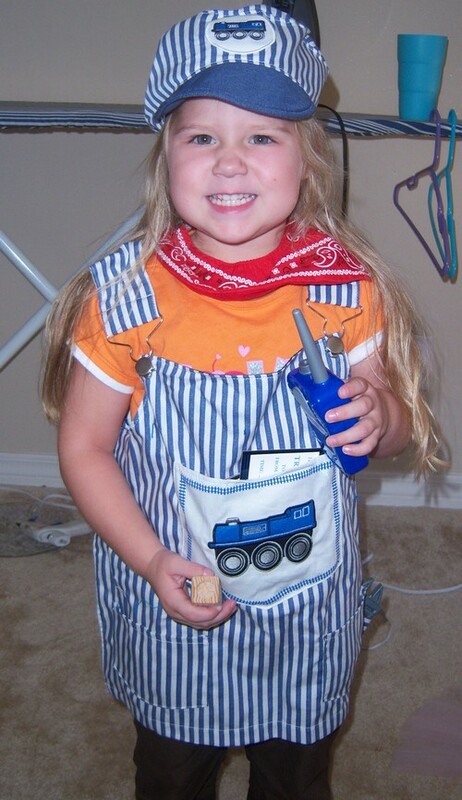 In fact, Charlottes been a fan since she was itty bitty too (here she is dressed as a conductor for Halloween around the same age as Phoenyx is now). Ready to learn more? You can follow more Thomas products for your little one by heading to the following pages.